painted because Heather Santos had a visit the other day. My own reaction the first time I saw one was delight! or friendly creatures from another planet. I also saw a Ganesha face! See the elephant? 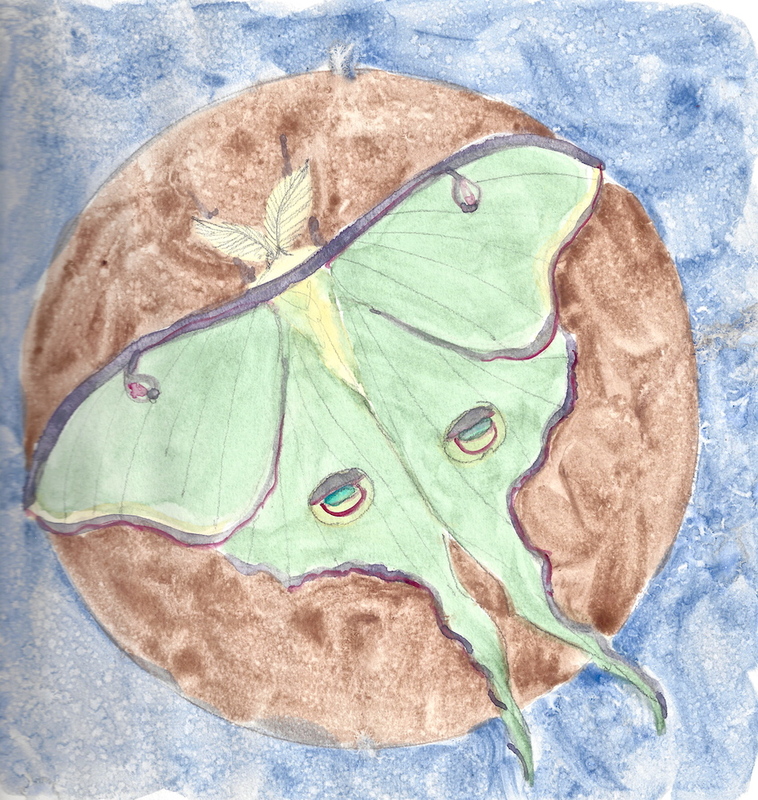 This entry was posted in art, full moon, journal, watercolor and tagged full moon, Luna moth. Bookmark the permalink. I do see the elephant! I see so much more when I draw/paint anything . . . I know many critters have disguises to make them look bigger, or to distract from their heads, etc., but I had not noticed her eyes above trunks! Critters are fascinating when studied for the detail they use to disguise or intimidate. I would never have considered a moth beautiful until you made it so! The hue of green is lovely, and Elephants are a favorite so this is doubly pleasing. I see two elephants facing one another. Very evocative work. I love the textures and subtle colors. Thanks Joy! I had not seen it that way . . .